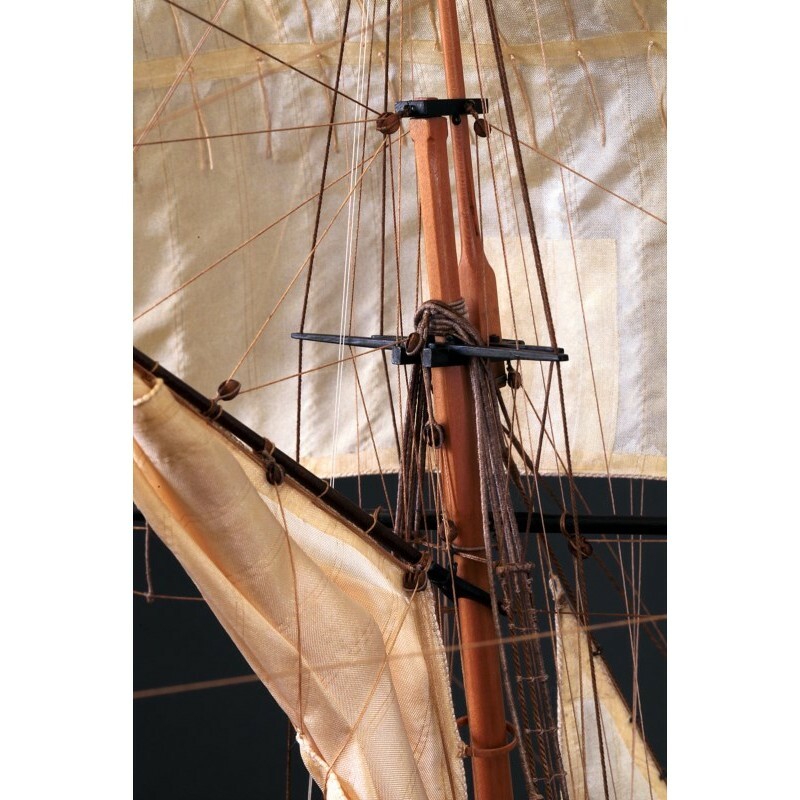 Schooner By Engineer de la Morandière 1823 HISTORY OF THE SCHOONER IN THE FRENCH NAVY. 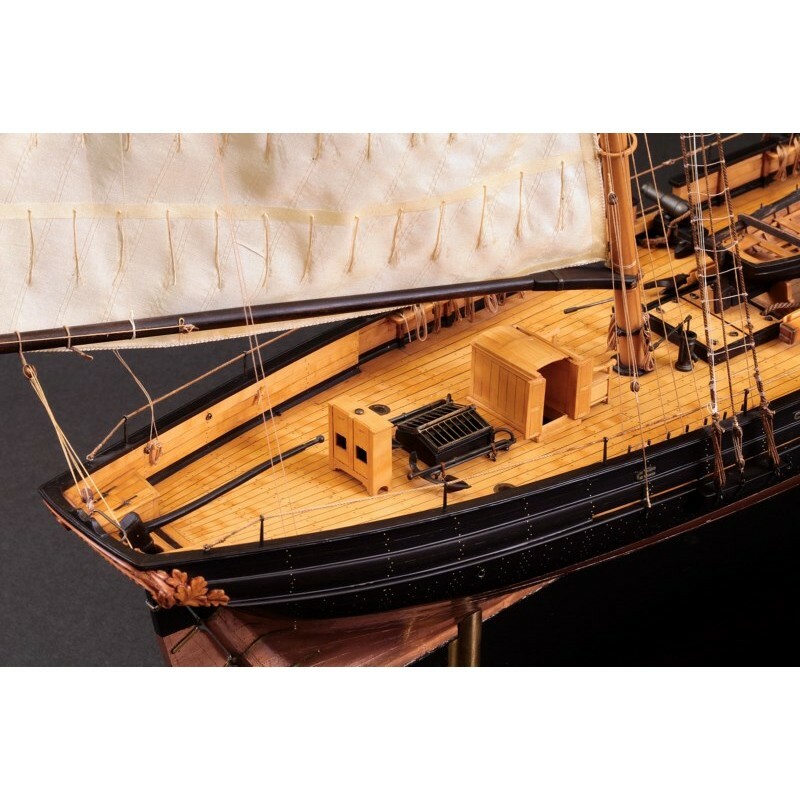 This monograph is intended for those who want to practice ship's model building but do not have extensive experience. A basic model building method is included for them in this monograph. 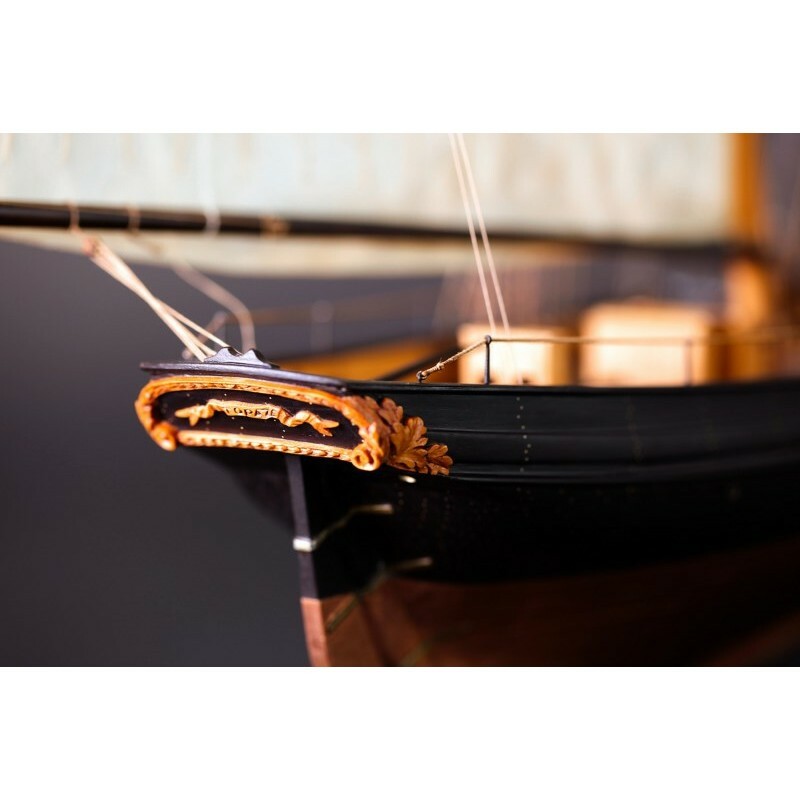 With a little care and skill, the method leads to the construction of a model from prime quality material, since wood will be exposed on a planked hull. This monograph must be considered as an initiation to "the art of model building". 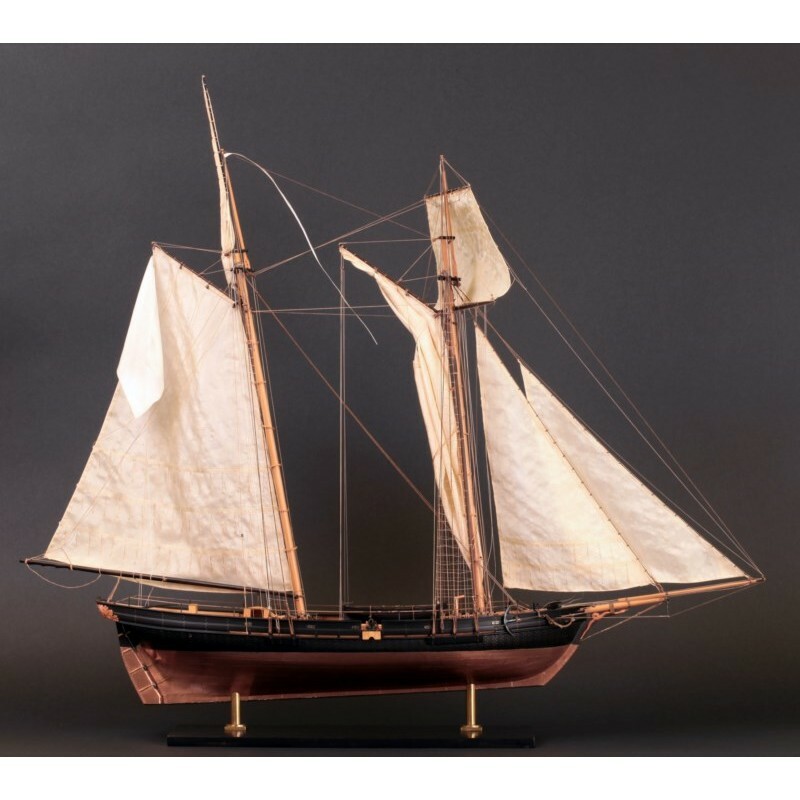 Confirmed ship's model builders will also be interested in the elegance of this small schooner, created by its fine underwater hull and its light rigging. They should find the lines of Jacinthe quite appealing. 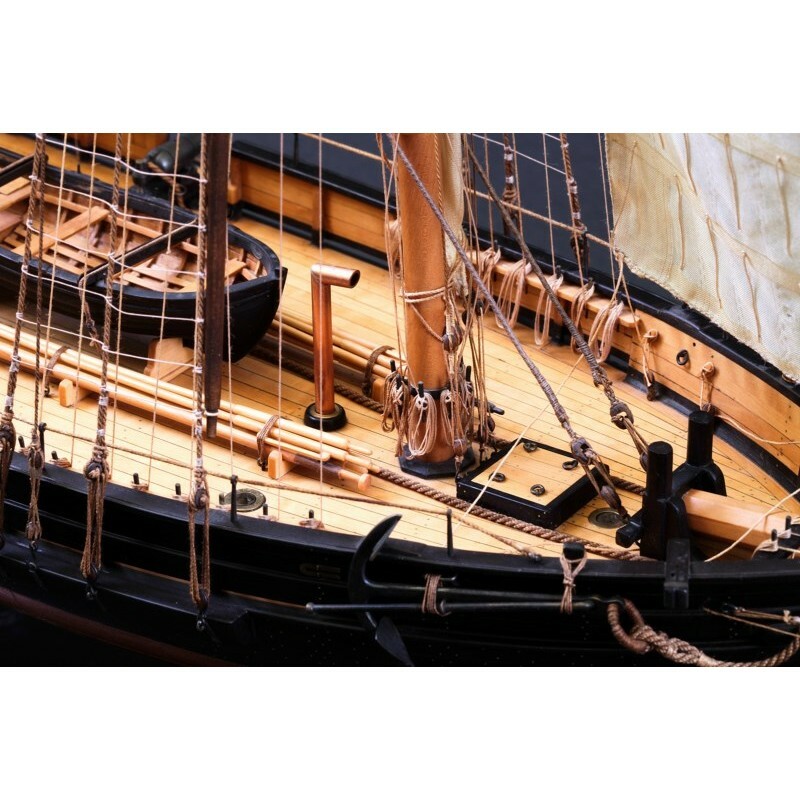 Those readers who are more specifically interested in naval archeology will find in this monograph a necessary addition to previous studies, as it deals with brigs, cutters, and luggers. These constructions complement the building of schooners. 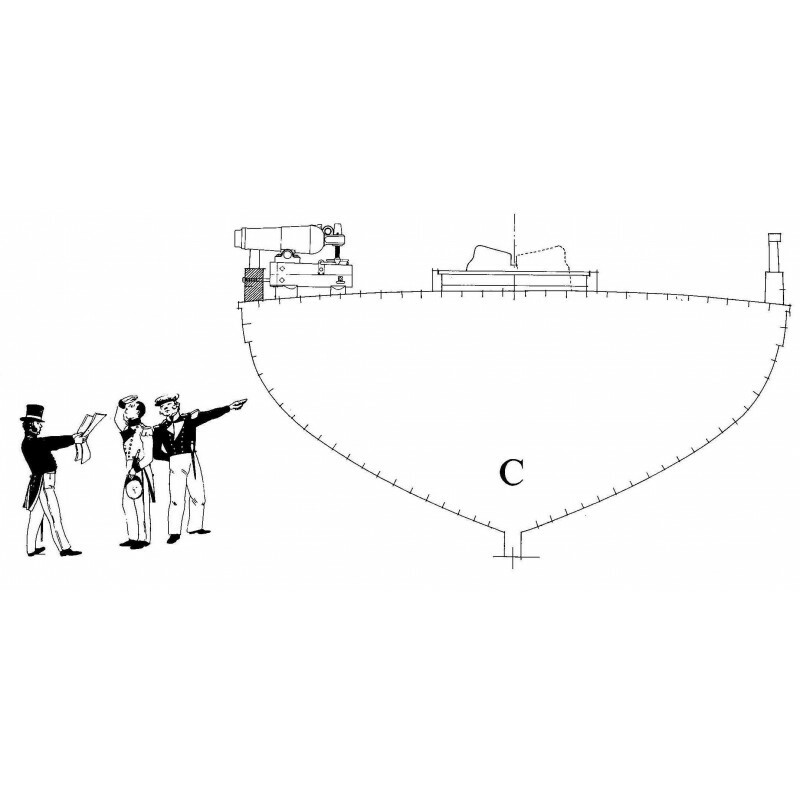 The historical and technical study of this type of ship is given with an extended iconography. 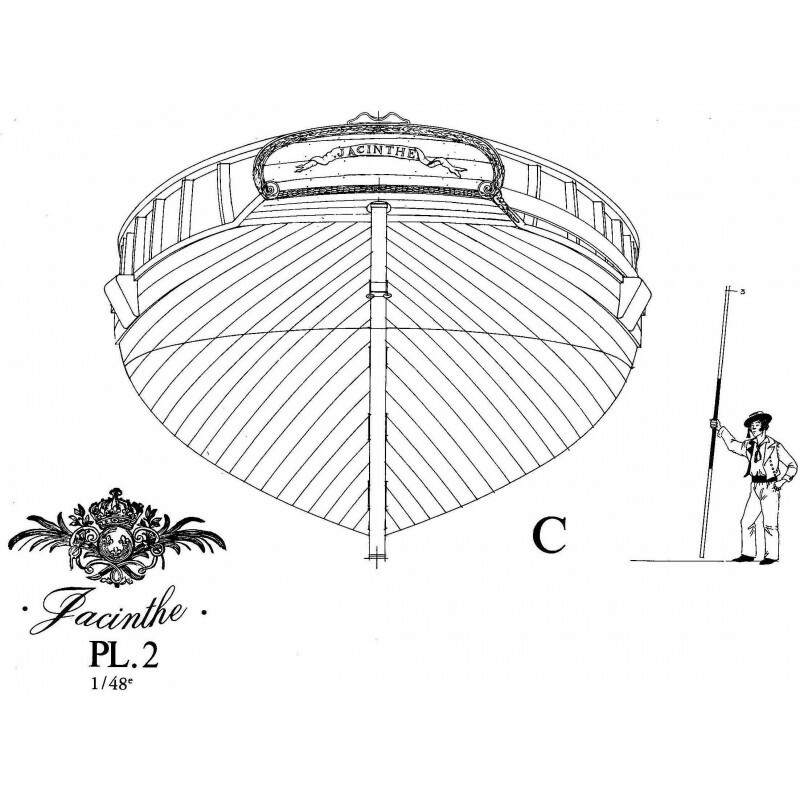 1) Defining the hull, drawing out the waterlines, drawing the frames in order to make the model and draws for the stem and the stern with lower counter and stern. 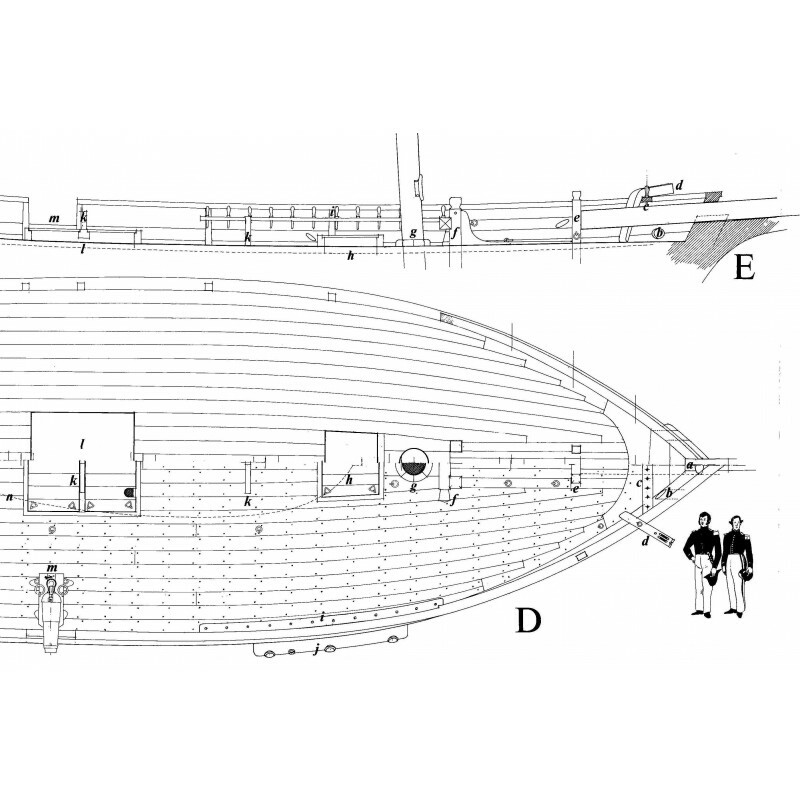 2) Disposition of the planked hull, front and back views. 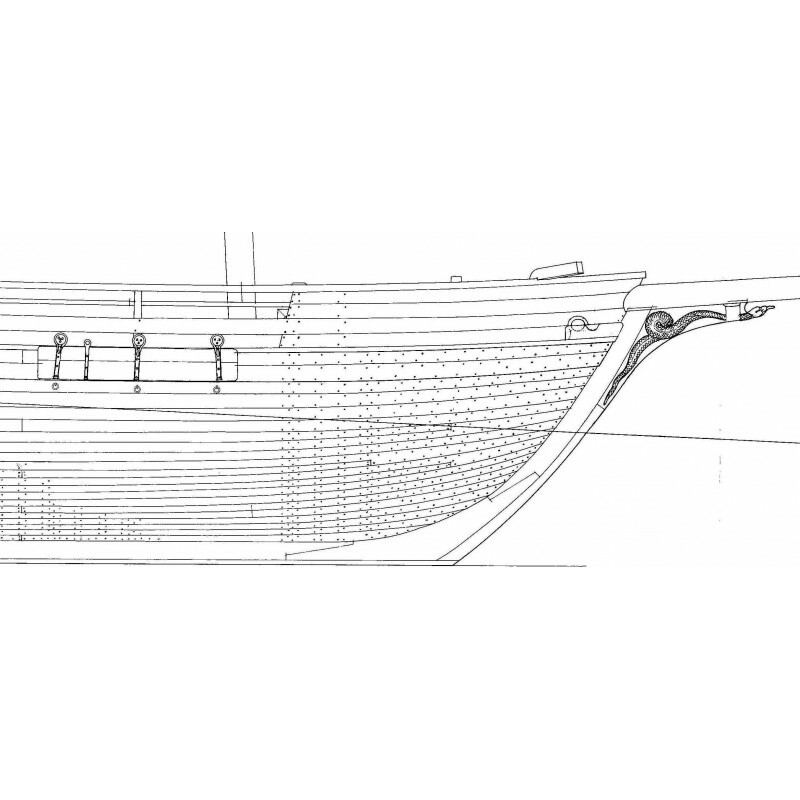 Longitudinal section of the deck. 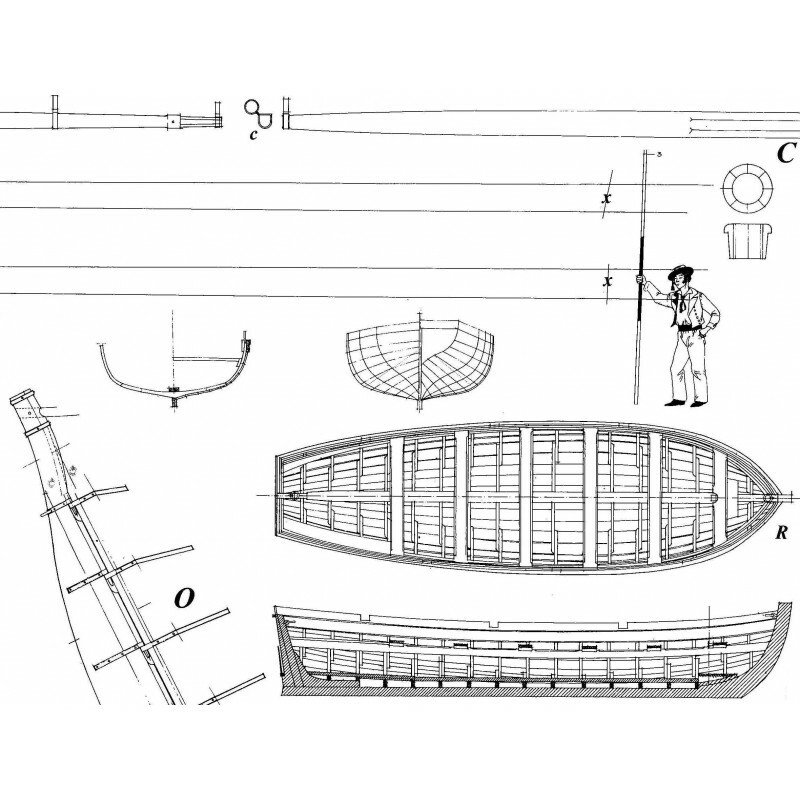 Plan of planked deck and upper works. 3) Half plan of the deck for bulwark making. Cross sections. Drawings of fittings, bits, partners etc. 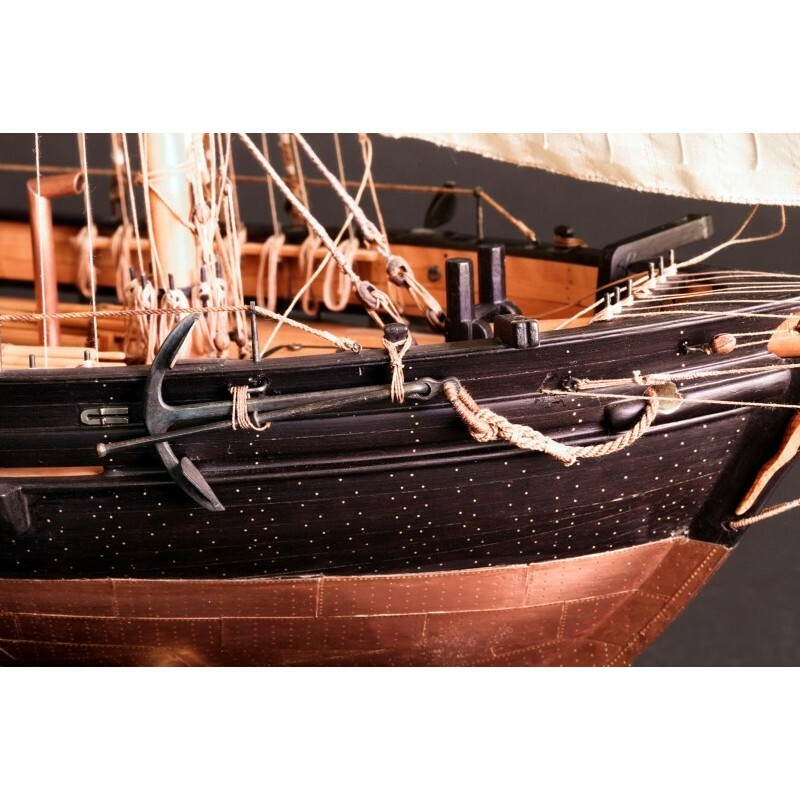 4) Spars, guns, anchors, boat etc. 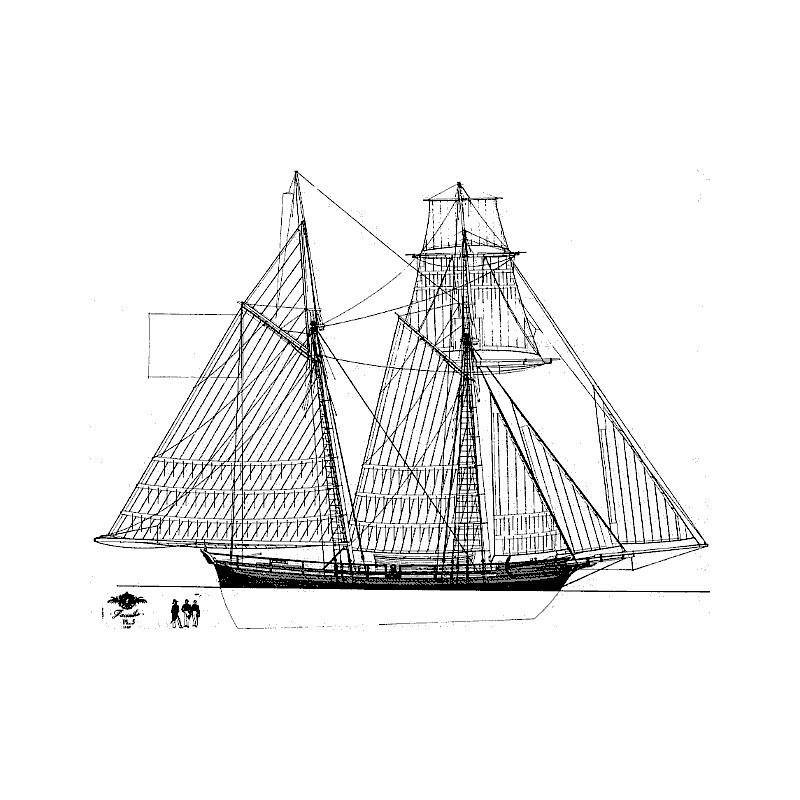 Representation of square sails ( topsail and topgallant) and their foremast rigging. Two sets of plans are provided. One is incorporated into the text, with plates 1 to 4 at 1:48 scale, plate 5 at 1:100 scale. The other set is independent with five plates at 1:48 scale. - Photos of a model in progress. 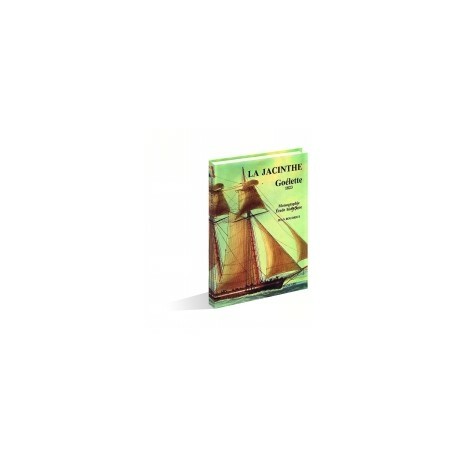 La Topaze, sister ship de la Jacinthe.